Image via United's media relations page. United Airlines’ reputation has taken a massive hit after video emerged of law-enforcement personnel violently dragging a passenger from his seat on a flight to Louisville, Kentucky, from Chicago on Sunday. The airline’s tone-deaf response certainly hasn't helped. United initially apologized for "the overbook situation," which was how it explained why the passenger was ejected. United CEO Oscar Munoz followed up with his own statement, apologizing for "having to re-accommodate" the passenger. Late Monday, Munoz described the passenger as "disruptive and belligerent" in an email to staff. He said United "followed established procedures" and told employees, "I emphatically stand behind all of you" in the note, according to CNBC. Munoz released yet another statement on Tuesday with another apology and reinforced his commitment to customers and employees that United will "fix what’s broken so this never happens again." Its next steps will include a thorough review of crew movement, United’s policies for incentivizing volunteers, how the airline handles overbookings, and an examination of how it partners with airport authorities and local law enforcement. It pledged to publish results of the review by April 30. United drew a fiery social media backlash on Monday in response to this crisis, which is taking place just two weeks after the #LeggingsGate crisis. Can United bounce back and fix its reputation? Here’s what six experts said. If the initial reaction on social media and at office water coolers is any indication, United has already lost a significant group of customers. 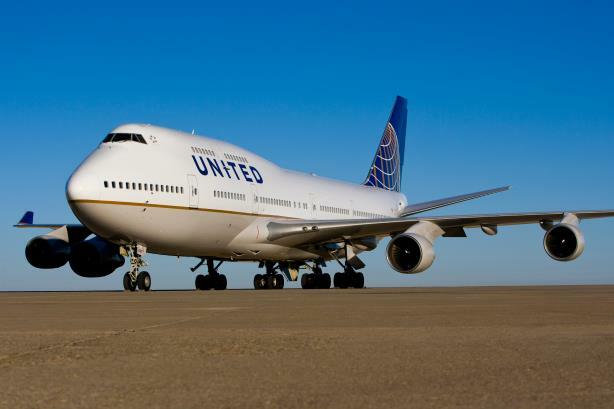 United would be best served to approach its communications strategy for two customer-retention buckets: one for customers who are loyal to the brand; and one for customers who claim they are never coming back. For the first bucket, it’s all about quick communication that reinforces United’s values and shows immediate differentiation from the competition. The second bucket is a long-term strategy that will require a more personalized approach and can only be rebuilt over time. United needs to publicly acknowledge and somehow articulate a level of comprehension that everyone from the arrogant gate agent, who literally threatened an entire plane of people to accommodate their employees "or else," to the presumed highly skilled brand managers, who signed off on the CEO’s narcissistic and passive-aggressive apology, are actually sorry for what happened. This company needs to humanize and contemporize itself from top-down. If not simply an isolated case of overzealous boarding agents at one airport, this and the recent legging incident might reflect a deeper problem across the company that requires substantive change. Rules are rules, especially for highly regulated airlines after the horrors of 9/11, though they’re still very much a service business. If United is able to create customer-friendly policies that assure passenger and public safety while also rewarding employees for handling customers with velvet gloves rather than boxing gloves, it may be able to positively differentiate itself from all other commercial carriers. This will take hard work, including changing policies to assure employees focus on providing the highest levels of customer service, and then making sure employee training, communications, rewards, and recognition all reinforce and lead to better employee judgment and much higher levels of customer service. Change management of this type, if required, starts at the top, becomes ingrained in company culture, and is never a quick, easy, or inexpensive fix. My advice to United would be to take responsibility immediately and admit fault. It should explain how this happened and what it is doing in the future to prevent it from occurring again. This might be an opportunity for United to set itself apart from the industry and say it is looking into alternatives to overbooking passengers. Airline customers place high importance on the actual experience of flying. Yet, time and time again, airlines are failing to meet this basic expectation of good customer service. First, United should undertake a comprehensive review of all its policies to ensure they reflect the state of air travel and a true commitment to putting customers first. Any policy that does not comply with these criteria should be updated, and the new policies should be communicated broadly both internally and externally. It should ask the hard questions about culture, and whether it lost any of its customer centricity in the hard work of post-merger integration. From there, the airline must place an internal focus on empowering employees to use good judgment and common sense in the application of policies. Once the airline has ensured its own house is in order, it should look for the opportunity to lead the industry in improving these kinds of situations for customers. Much like JetBlue created a Customer Bill of Rights governing weather-related situations, United has the opportunity to improve outcomes for customers and crew on the issue of overbooking, which is becoming increasingly common in the industry, particularly as technology enables airlines to more efficiently manage and move inventory on its flights. In the meantime, it must be incredibly vigilant about running a perfect operation from a customer-service standpoint to avoid any situations that would continue the narrative that there is a pattern of customer mistreatment at United. United's answer to how to fix its brand is found on its website under "our shared purpose" and "our shared values." Companies neglect these important channel markers when they need them most. One of United's values is "we fly friendly," and it refers to its "empathy" in its value "we fly together." The company needs to stop addressing crises with data, such as policies, and start leaning on what they claim to value. "We did not uphold our value to 'fly friendly'" has a much different ring to it than, "I apologize for having to re-accommodate."